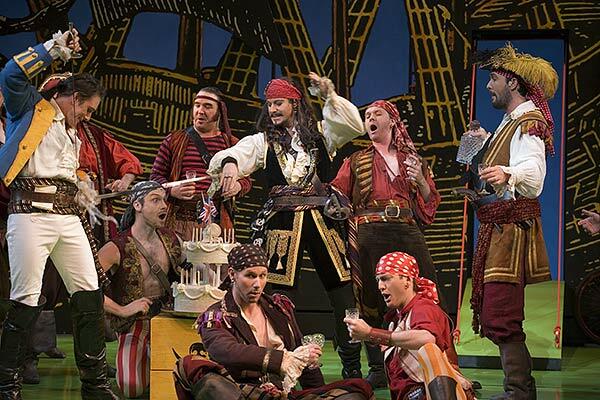 Gilbert and Sullivan are known to audiences around the world, opera fans and non-opera fans alike. Their works have been parodied in many contemporary mediums, including movies and TV shows…but who were Gilbert and Sullivan? What made their works so popular? And what is all of this “topsy-turvy” business? Born in 1936 to a naval surgeon and the daughter of a doctor, Sir William Schwenck Gilbert grew up in relative luxury, residing in an upscale home in London. Although his parents were not fabulously wealthy, he was still kidnapped by his nanny at the age of two and ransomed for £25, an incident that would feature heavily in his future works. While still in school, Gilbert helped produce theatrical events for his classmates, and eventually began writing his own works. He was also an accomplished cartoonist and caricaturist who would often illustrate his own works. Despite his love of the written word, Gilbert went to school to study law, only to take some time off from school for a commission with the Royal Artillery, another event that would carry great influence in his works. After his time with the Royal Artillery, Gilbert did complete his law degree and practiced, a while…but was not terribly successful. He was more interested in drawing caricatures in his notes instead of paying attention during trials. After his failure at the bar, he began writing for a journal entitled “Fun” under the monicker Babs. These works were eventually published as “Bab’s Ballads” in 1869, where he would perfect his “Topsy-turvy” world. Gilbert loved to take a situation and turn it on its head, to comic results. During that same year, he would attend a party where he would meet accomplished British composer Sullivan. 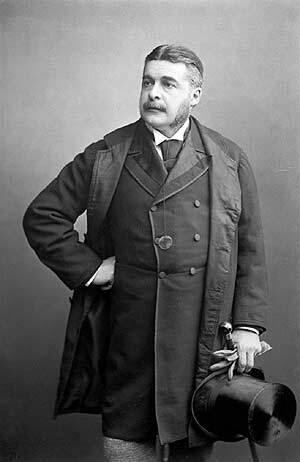 Sir Arthur Sullivan did not have the same comfortable upbringing. The son of an Irish clarinetist, his family lived in South London, and constantly struggled to make ends meet. Sullivan’s father was forced to take on teaching positions and take jobs copying music, along with his regular performances, just to try to give the family the best opportunities available. Young Sullivan showed tremendous skill at the age of eight, already capable of laying clarinet, horn, trombone, and flute. He was sent away to boarding school at the same age, and his singing voice and musicality earned him a place in the Chapel Royal at St. James Palace at twelve. His first composition piece was published at thirteen, and even at that time, his teachers could tell he had considerable talent. At fourteen, Sullivan won the inaugural Mendelssohn Scholarship which allowed him to study at the Royal Academy of Music, and in Leipzig, where he would rub elbows with composers like Robert Schumann and Franz Liszt. After his time in school was complete, he took a position as the organist at St. Michael’s Church in Chester Square, where he was well-known for filling out the tenor and bass sections by employing local policeman (“I used to think of the sometimes when I was composing The Pirates of Penzance,” Sullivan once remarked). Through all of his studies, he became adept at mimicking and creating parodies of many different musical styles, including Bellini, Purcell, Handel, Schubert, Bizet, Verdi, Donizetti, and Mendelssohn, along with English folk songs. After the two met at a party in 1869, an artistic alliance was born. Sullivan was just coming off the success of his first English operetta, Cox and Box, and Gilbert was ready to expand his writing repertoire. The first piece the two collaborated on was Thespis in 1871. The work was not wildly popular, but Richard D’Oyly Carte, manager of the Royal Theater, saw potential in the work, and brought the two together again in 1875 to create Trial by Jury. This time, the combination worked, and the run was so successful that D’Oyly Carte started his own Comedy Opera Company. Over the next 21 years, they would write eleven more pieces, including H.M. S. Pinafore (1878), The Pirates of Penzance (1879), and The Mikado (1885). These works, which would be performed at the Savoy Theatre, would come to be known as the Savoy Operas. 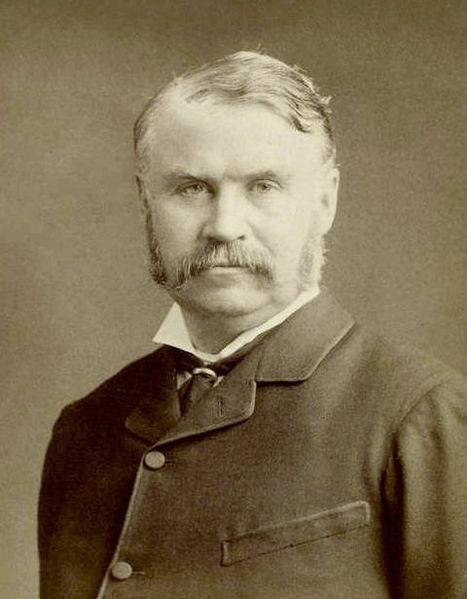 One of the most identifiable features of the Savory Operas were the extent to which both Gilbert and Sullivan were able to parody and mock Victorian society, the British royals and government, along with other musical styles. Gilbert’s irreverent attitude towards the law and military, which started during his schooling and work with the Royal Artillery, would emerge in characters such as the Grand Pooh-Bah in The Mikado, who would take on every leadership position in the town (First Lord of the Treasurer, Paymaster-General, Lord High Auditor, Archbishop of Titipu), whose ineptitude is matched only by his ability to make decisions that suit the party that is able to provide the most suitable bribe. Another character, whose patter song has been famously parodied in many different mediums, is the Major General from The Pirates of Penzance, who is able to list his incredible knowledge on random topics, but does not seem to be able to do much else. Sullivan’s experience and training allowed him to join the fun with the parodies, as he could mimic any musical style. There were faux Japanese marches (“Mi-ya Sa-ma”) mixed with traditional sounding English madrigals (“See how the Fates their gifts allot”) in The Mikado, and grand choral moments in The Pirates of Penzance when the entire cast, pirate and Major General’s wards alike, would stop and “Hail, poetry…” in a pseudo-anthem. These moments would either make the audience chuckle due to the well-known nature of these works, or pique their interest, such as the Japanese-themed music in The Mikado. While Sullivan was a talented and adept composer in his own right, his ability to mimic any other style suited Gilbert’s sense of humor perfectly. …At least, it did for a while. The two quite famously did not get along well. Gilbert was prone to temper tantrums, and Sullivan would often be quite at a loss at what had offended his partner. Sullivan also chafed at the idea that his talent was being wasted on comedic works, while Gilbert wanted him to stop taking himself so seriously. Arguments over plots (Gilbert suggested a plot revolving around a magical lozenge many times, which Sullivan thought was ridiculous), and money soon took their toll, and the two were having a difficult time working together at all. The final confrontation finally occurred after The Gondoliers in 1889, over, of all things, payment that D’Oyly Carte demanded to replace carpets in the theater. Gilbert refused, but Sullivan took D’Oyly Carte’s side, and their relationship was forever damaged. Although they would work together again in 1893 (Utopia Limited) and 1896 (The Grand Duke), the chemistry was gone, and the pieces failed to bring in the large audiences they had enjoyed during their peak.